The Viking Age may not have started with the plundering of England, but with the peaceful trading of handcrafted combs made out of reindeer antlers, a new study suggests. Until now, researchers thought the Viking Age began in June 793, when Norwegian Vikings raided Lindisfarne, an island off the northeast coast of England. But new research suggests Vikings were traveling from Norway to Ribe, one of Scandinavia's earliest towns and a lively trading center on the west coast of Denmark, as early as 725, the researchers said. "This shows us that merchants and other travelers from the north were visiting Ribe long before the start of the Viking Age as we know it," the study's lead researcher, Steve Ashby, a lecturer of medieval archaeology at the University of York in the United Kingdom, said in a statement. "Even in its early stages, the town was attracting visitors from afar. We have long wondered whether Ribe, and places like it, kick-started the Viking expansion in trade, travel and warfare, but it has been difficult to prove." To learn more, the researchers studied antler combs and fragments at the archaeological site of Ribe's medieval marketplace. They used a biomolecular method called Zooarchaeology by Mass Spectrometry (ZooMS) to identify the species of deer that grew the antlers used in the crafts, the researchers said. ZooMS works by analyzing fragments in collagen, a protein found in skin and connective tissues. After each sample is examined, the researchers can compare them with reference sequences from other animals in a database, they said. The study showed that reindeer, which are not local to Denmark, made up a number of the crafts. Reindeer did live in Norway during that time, and it's likely the Vikings brought the antlers to Denmark to trade with their neighbors, the researchers said. "Now for the first time, we can confidently say that people in the more remote parts of Scandinavia were visiting places like Ribe, presumably for commercial gain, from a very early stage," Ashby said. "It’s a vital contribution to the question of what caused the Viking Age: It looks as though towns and maritime trade may have been the engine driving all this change." Reindeer live in large herds, and shed their antlers in the open tundra, making them easy to collect, the researchers said. Once the early Vikings had enough antlers, they likely sold them to artisans in southern Scandinavia, who crafted them into combs, they added. 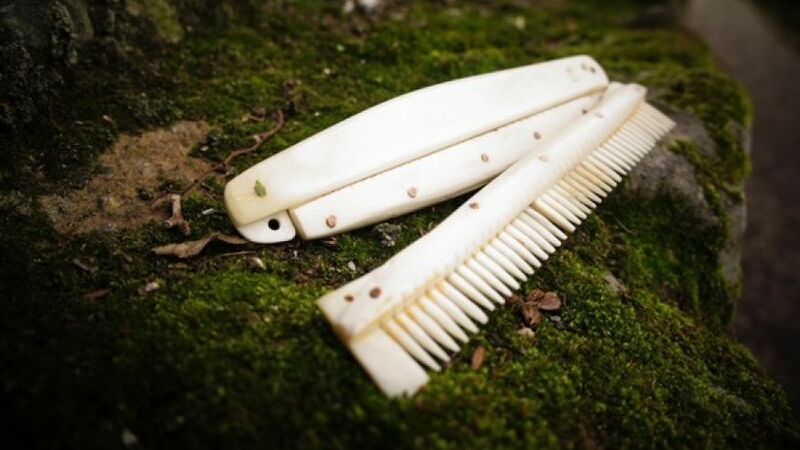 Other studies have found that "finds in graves suggest that a considerable proportion of the Scandinavian population" had reindeer antler combs, which served as a hygienic and aesthetic amenity, the researchers wrote in the study. While the Vikings were aggressive, they were also highly skilled in their seafaring travels, said study co-author, Søren Sindbæk a professor of medieval and renaissance archaeology at Aarhus University in Denmark. "The Viking Age becomes a phenomenon in Western Europe because the Vikings learned to use maritime mobilityto their advantage," Sindbæk said. "They learned to master sailing to such an extent that they get to the coast of England where the locals don't expect anything. They come quickly, plunder the unprepared victims, and leave again — a sort of hit and run." But the antler combs suggest the Vikings should also be remembered as resourceful traders. "The peaceful exchanges — trading — will take up more of the story, and the military voyages, which are also important, must now share the space," Sindbæk said. The findings were published online April 1 in the European Journal of Archaeology.